Even today with all the advances in modern medicine, the word leprosy can illicit feelings of fear and/or disgust. Once thought to be highly contagious, the disease is now easily treatable and very rare, typically only found in areas of abject poverty. Named Hansen's Disease for the Norwegian physician Gerhard Armauer Hansen who identified the bacterium responsible for the disease, leprosy has been known for thousands of years. So what does Hansen's disease have to do with WWII? 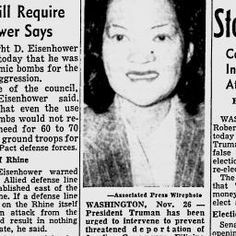 A Filipino woman named Josefina "Joey" Guerrero used it spy on behalf of the Allied forces. Orphaned at an early age, Joey was raised by her uncle in Manila. She married a physician, and shortly thereafter gave birth to a daughter. The wealthy socialite was the belle of the ball. Life looked bright. Then in 1941, Joey was diagnosed with leprosy. As required by the laws of the time, Joey was separated from her family - her young husband and her two-year-old daughter. She never saw her husband again, and only saw her daughter once. Rather than allow the disease to dictate her actions, Joey used it to her advantage. By this time, her country was suffering under the brutal occupation of the Japanese who imprisoned both Filipinos and Americans. Visiting the camps, Joey brought food and medical supplies to the prisoners. 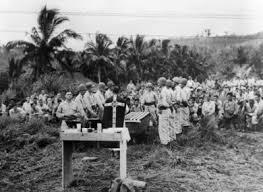 But just as important was the information she carried from the camps to the Filipino Underground, information overheard from the Japanese guards who spoke freely in front of their incarcerated charges. Because of her disease, Joey received cursory inspections from the guards. As mentioned, leprosy was thought to be highly contagious, and the soldiers were terrified of contracting it. Thus, the notes and messages she carried in her baskets or on her person went undetected. When the Allied forces captured Luzon in 1944, Joey volunteered to work as an official spy for the Americans, carrying secret messages and mapping minefields. Credited with saving hundreds of lives, Joey was awarded the Medal of Freedom with Silver Palm, the highest award a civilian can earn. 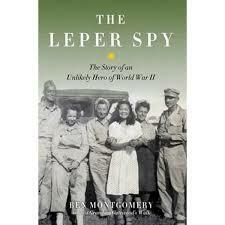 If you want to learn more about this fascinating woman, check out Ben Montgomery's new book The Leper Spy.